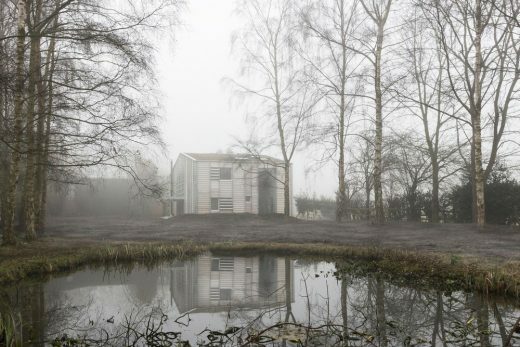 Old Shed New House is one of seven buildings to win RIBA Yorkshire (Royal Institute of British Architects) 2018 Awards. Old Shed New House, North Yorkshire is one of thirteen buildings have been shortlisted for RIBA Yorkshire (Royal Institute of British Architects) 2018 Awards; the winners will be announced at an Awards evening at The Museum Gardens, York on Thursday 24 May. 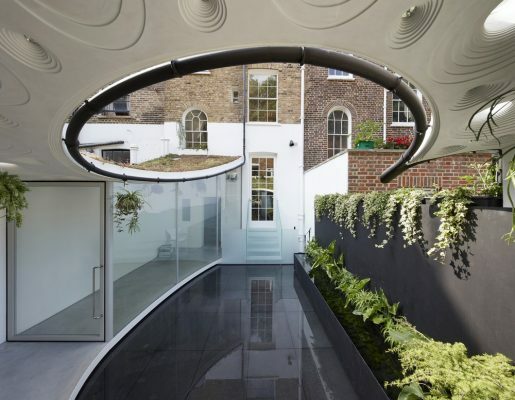 ‘Sun Rain Rooms’, designed by Tonkin Liu has been crowned London’s best and most innovative home extension as overall winner of New London Architecture’s (NLA) annual ‘Don’t Move, Improve!’ competition. The Dover seafront has been transformed by artworks that take the form of three waves gently washing up against the sheltered beach. The Lifting Wave is a repeating form of curving white concrete ramps and staircases that rise and fall to connect the Esplanade to the lower shingle beach. 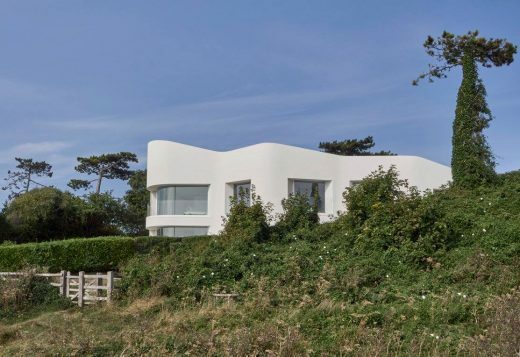 The Resting Wave; a second sculptural white concrete wall made up of a series of moulded curves. The recesses house oak benches, the promontories raised lawns. Continuing development of Shell Lace Structure, Tonkin Liu have used the technique to design a pedestrian and cycling bridge across a site in China. Spanning 75 metres, Shi LIng Bridge is a highly-efficient structure made of lightweight perforate torsion beams, turning and joining to land as a composite column. Mike is an Architect and Landscape Architect with over 20 years of experience developing innovative and creative projects in architecture, art, and landscape. He graduated in Architecture at the Royal Collage of Art, London. Mike has taught and lectured at numerous schools of architecture in England and the Far East, and he currently teaches at the University of Bath. He lectures on a number of subjects including world vernacular architecture, using the experience and photographs taken from his extensive travels. Anna is an Architect with over 15 years of experience in architecture, art, and landscape. She graduated in Architecture at Columbia University. Anna has worked for practices in China, Japan, the USA and the UK. Having previously worked for Arup Associates in Hong Kong and in London, she set up Tonkin Liu with Mike Tonkin in 2002. Together they taught at the Architectural Association School of Architecture for four years, exploring studies of patterns in nature and in human nature. May 17, 2018 in Architects.